A fresh look at the Warren Burger Supreme Court finds that it was not a 'moderate' or transitional court, as often portrayed, but a conservative one that still defines the constitutional landscape we live in today. If the 'theme' of the Warren court was equality before the law, they contend, then under Burger, 'equality took a back seat to other values: to the prerogatives of states and localities...to the efficiency of the criminal justice system, to the interests of business and, above all, to rolling back the rights' that the court, in the 1950s and 1960s, had granted to the poor and the powerless. This is the case the authors make — with clarity, authority and evident passion — identifying the principles at stake and the costs, as they see it, of the Burger retrenchment. 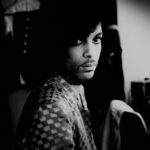 The book provides a powerful corrective to the standard narrative of the Burger court — and should change the way that period is perceived ... the Burger court effectively ended judicial oversight of plea bargaining and sentencing, leaving both in the hands of prosecutors and state legislatures, neither of which are known for restraint. While not equally persuasive across all areas of law, the book establishes a similar pattern in cases concerning race, the separation of church and state, employment discrimination and other issues: on the surface, moderation; underneath, and in the aggregate, an erosion of fundamental rights ... Graetz and Greenhouse acknowledge that women’s rights, including reproductive rights, appear a 'glaring exception' to the Burger court’s conservatism. ...[an] ambitious and engaging new book ... 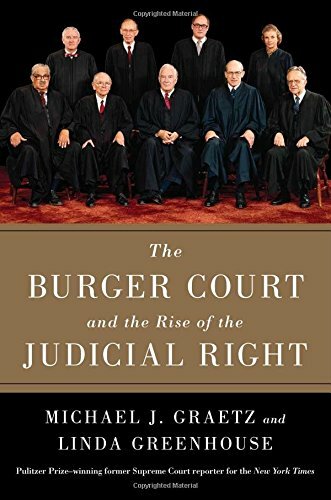 Instead of comparing the Burger court only with its institutional predecessor, the authors also examine the institution in light of its two successors: the Rehnquist court, beginning in 1986, and the Roberts court, beginning in 2005...As the authors contend, 'Warren Burger’s Court played a crucial role in establishing the conservative legal foundation for the even more conservative Courts that followed' ... Graetz and Greenhouse’s work serves as an important corrective, demonstrating that the Burger court demands far more sustained scrutiny and analysis than legal scholarship has generally afforded it ... For all its considerable virtues, the book sometimes strains to construe the Burger court as a relentlessly conservatizing force instead of the more heterodox institution that it actually was ... Still, even when the book’s arguments may not fully persuade, they invariably provoke serious thought on how legal decisions made in our nation’s relatively recent past could have assumed a radically different form. It's Graetz and Greenhouse's contention that, in fact, the decisions of the Burger Court 'in many ways shaped the society we live in today.' The Burger Court decided on 2,738 cases, and even in a book as densely packed as this one, our authors can only indulge in detailed accounts of a representative handful of these cases. They concentrate instead on broader social topics like race, crime, and business in order to create a framework for what turns out to be some thrillingly intelligent analysis of the ways the Burger Court handled the massive legacy it was handed by the Warren Court ... the newly constituted Burger Court never succeeded in outright overturning any of the Warren Court's signature rulings; but it immediately set to work weakening those rulings and sapping the strength from social and legal guarantees of equality before the law ... Our authors do their best to be objective and balanced about all this, but when confronted with such an unrelenting record of perfidy in jurisprudence, they're sometimes forced to repeat themselves ... Our authors are wonderful at summing up but maddeningly diplomatic at times about handing down verdicts. What did you think of The Burger Court and the Rise of the Judicial Right?